What are cool-season grasses? How to choose the best type of cool-season grass for your lawn? Here is everything you need to know! Cool season grasses – the types of grasses that have adapted to grow in areas that experience high-temperature differences – hot summers and freezing winters. The cool season grasses actively grow in the spring and fall, when temperatures are between 60-75 degree F.
One cool season lawn can be established from sod or seed. When using sod, it is important to keep the lawn moist until the sod roots into the ground. They are grown from seed and they grow best when they are properly maintained. The mowing height is between 3-4 inches. Turfgrasses are divided into cool season grasses and warm season grasses. We’ve already discussed the cool season grasses. Warm season turfgrasses are those with optimum growth at high temperatures between 80-95 degree F. Some of the most common warm-season grasses are Bermudagrass, Bahiagrass, St. Augustine, Carpetgrass, and Zoysiagrass. There are specific geographic zones where cool and warm season grasses grow. Within these zones, other climatic conditions happen which affect turfgrass growth. Two very important factors are conditions that are generally arid or humid. Some zones are designed by combining these factors with the temperature range. In the US, there are four zones – cool/arid, cool/humid, warm/arid, and warm/humid. There is also a transition zone where conditions from all these 4 zones are present. This is considered to be one of the most difficult zones to grow turf grass. Usually, it is too warm in the summer for growing cool season grass and too cold in the winter for growing warm season grass. Some homeowners solve this by growing warm season grasses during the season when temperatures seem appropriate. They decide to overseed the warm-season grasses with some cool-season grasses that grow when the temperatures are right. The most common cool season grass types are Kentucky bluegrass, fine fescue, tall fescue, and perennial ryegrass. You may find seeds of these grasses combined together for different uses and needs. For example, dense shade or sunny conditions, high traffic, and more. The most popular mix is for sun and shade. Kentucky Bluegrass: Noticed in the Northern US, Kentucky Bluegrass is a popular cool-season grass with dark green leaves. With aggressive spreading, this type of grass holds up pretty well in high traffic areas of the lawn. It is also noticed in sunny areas, as well as areas with moderate shade. The Kentucky Bluegrass grows in loose soil, meaning, if you have heavy clay, routine aeration is absolutely necessary. When it comes to mowing, the height should be 2-3 inches. One common problem this type of grass faces is a leaf spot disease. You can notice this type of grass by the brown borders. It should be treated by a lawn care company, so you can enjoy green and fresh lawn. Fine Fescue: Popular in grass seed mixes because of their fast growth rate, Fine fescues have gray-green color and high shade tolerance. There are a few different types of fine fescue – sheep fescue, creeping red fescue, hard fescue, and chewings fescue. This cool season grass is an excellent performer in cold and shade and is usually added to fill where other turfgrasses fail. High temperatures or a heatwave that last for more than a week could require extra watering and care. High temperatures can stress the grass out and we don’t want that to happen. This type of grass is an excellent choice for high traffic areas. It can adapt to different climates and soil conditions. It is best to plant it in the spring and then mow at a height of 2-3 inches. Tall Fescue: A bunch-type turfgrass, popular in the transition zone. With a deep root system, this type of grass has high drought and heat tolerance. Usually, this type of cool-season grass is used in mixes due to its low maintenance, quick germination, and high adaptability. Tall fescue is especially popular in sports fields, as well as, other high traffic yards. The newer varieties of this type of grass are as dark green as Kentucky bluegrass varieties. The difference is that it doesn’t tolerate mowing height as perennial ryegrass or Kentucky bluegrass. The recommended mowing height is between 1.5 – 3 inches. Homeowners love this type of grass because it requires slightly sell fertilizer and water than other cool-season grasses. Perennial Ryegrass: Perennial ryegrass grows quickly after seeding and that is just one reason why we love it! This fine-bladed grass is perfect for high-traffic yard areas. Because of its effective germination ryegrass is also utilized for erosion control. Along with annual ryegrass, perennial is commonly used in the southern US to stimulate passive or inactive certain warm-season grasses. With a medium texture, this cool season grass grows in bunches and clumps and is usually combined with bluegrass and fescues for an even better look and feel of the lawn. When mowing, set your mower to 2-3 inches height. Which Type of Grass is Right for Your Region? Enjoying healthy, green, and beautiful lawn demands care and attention. Proper maintenance, nutrition, aeration, and mowing lead to establishing lush and fresh lawn grasses. When maintaining your current lawn or establishing a new one, matching the best cool-season grassing to your region is essential. The cool season grasses show vigorous growth in the northern regions with moderate summers, fall seasons, and cool springs. The warm-season grasses, on the other side, grow in southern regions where summer temperatures are high. 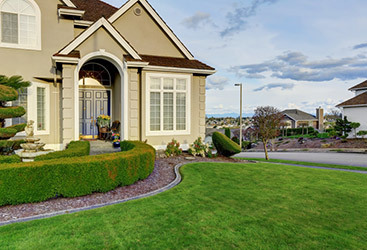 By choosing quality lawn grasses according to your region and regional factors such as elevation, humidity, and aridity, you will make sure your lawn has all the nutrients required for success. Northeast Region: Cool season grasses such as Kentucky bluegrass, fescues, and ryegrasses grow in the Northeast region of the US. Cool summers, cold winters, and high humidity are the perfect condition for these grasses. Northeast yards prefer grasses that resist diseases surrounding this region. Kentucky bluegrass, for example, flourishes throughout the region. This perennial cool-season grass delivers deep-emerald-green and perfectly textured edges needed for cold winters. This type of grass spreads aggressively while the root system is relatively shallow when compared to other grasses. Drought encourages dormancy in bluegrass, however, the grass returns stronger with watering. Kentucky bluegrass blends perfectly with ryegrass. It is the perfect combination for faster greening. For beautiful and green Northeast lawns, the lawn care companies recommend a mix of bluegrass with other cool-season grasses. Midwest Region: Another cool-season growing region. The states in the region experience humidity, similar to the Northeast. Seasonal fluctuations surrounding the region require grasses that grow in cool climates. Kentucky bluegrass dominates the midwest region. Fescues and ryegrass do well in western areas. Under drought conditions, some types of tall fescues do pretty well. Perennial ryegrass grows in Midwestern sun as well. Known for fast germination, versatility, and easy establishment, this type of grass forms deep-green and finely textured colon. During drought periods, ryegrass requires extra watering. Southeast Region: Humidity and heat in the Southeast region create a humid and warm zone that expands from Texas into the Atlantic Coast. Warm-season grasses like Bermudagrass dominate in this region. Known for its aggressive spreading and persistent nature, this type of grass produces dark-green and thick lawn. Deep South & Gulf Coast Region: Where high temperatures and humidity escalate, Centipede and Bahiagrass are common. These types of grasses adapt easily to the region’s climate. Southwest Region: The warm region offers challenges to turf grasses in high and low-desert climates. Stretching from Texas to Southern California, the southwest region combines alkaline soil and saline water with high temperatures, intense sunlight, and elevations. Bermudagrass is commonly used in this region. Pacific Northwest Region: The West/Northeast region shows diverse turf growing conditions. Cool areas from Wyoming and Montana are ideal for cool-season grasses when properly maintained. From Washington, all the way to Northern California, Kentucky bluegrass and tall fescues are two preferred cool-season grass types. West of the Cascades, the humidity and cool temperatures of Pacific Northwest create similar conditions to the Northeast. This climate requires grasses that are resistant to various lawn diseases. Transition Region: This region presents challenges for both warm and cool season grasses. Known to lawn care companies and professionals as the transition zone, this region covers the states from the Atlantic Coast area through Kansas. In the transition region, different climatic zones such as warm, cool, arid, and humid strike. Summers are too warm for cool-season turfgrasses while winters are too cold and icy for warm-season grasses. Tall fescue is heat-tolerant and is used extensively in this region. The deep roots avoid dehydration and deliver heat protection. Tall fescue can add green color to perennial ryegrass and Kentucky bluegrass mixes. Lawn care companies usually combine fescue durability and adaptability with bluegrass beauty. By matching your region’s challenges with the types of grasses that suit them best, you can enjoy green, healthy, and beautiful lawn. Region-appropriate seed combinations help provide a growing advantage. You will get a beautiful lawn to enjoy with your family, friends, and pets – plus a great value investment! Spring Fertilization: All cool-season grasses should be properly fertilized when they arise from winter dormancy and flourish again. Regularly maintained and established lawns require only nitrogen. Spring fertilization will give your grass the nutrients it needs. Spring Mowing: Kentucky bluegrass and tall fescue will need to be mowed 1-2 times a week. Ideal mowing height is between 2-3 inches. Spring Watering: It is necessary to water your turfgrass in the spring. Overseeding: Lawn care companies recommend overseeding only if the grass requires it. If you didn’t overseed in the fall, you should definitely do so in spring. Keep in mind that you shouldn’t apply pre-emergent herbicides as this will prevent your turf from growing. You may overseed Kentucky bluegrass or tall fescue. Consult with Green Turf Care about which type of grass is right for your lawn. 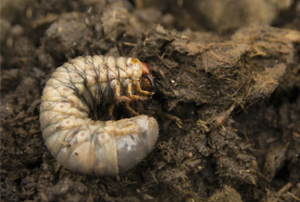 Grub Control: Grubs can disrupt your lawn. This damage is evident in fall and spring when the white grubs are feeding by using the turf’s roots. Green Turf can keep your lawn free of white grubs. The quality lawn grub control, this lawn care company offers is based on proper identification and understanding of the biology and life cycle of the insect. Green Turf Lawn Care can provide you with the best long-term solution to controlling grub growth. Summer is the best season to apply grub control. Aeration: The best time to renovate and refresh cool season lawns is fall. Aeration helps air to reach the roots of your turfgrass. Core aerator is the best option. Before aerating, it is best to mow your lawn. Fall Fertilization: With the cooler temperatures, your lawn will grow rapidly and require extra nutrients. If you are overseeding, consult with your lawn care service to perform a soil test to see if adding phosphorus is necessary. If you are not overseeding, nitrogen will be enough. 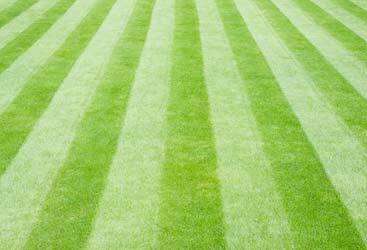 Green Turf Care is one of the best lawn fertilization companies. Winter Dormancy: As temperatures start to drop, cool season grasses enter a winter dormancy where they turn yellow and stay that way until spring. This is how plants preserve energy. In winter, watch out for an ice storm. Are you satisfied with your current lawn? Do your kids enjoy playing in the yard? Having troubles with grubs or beggarweed? The solution to all of your problems – Green Turf Care! Green Turf Care is the best quality cool season grass provider in the area! With over 10 years of experience, Green Turf provides the best services in Allentown, Bethlehem, Breinigsville, and Emmaus. Your new best Pennsylvania lawn care professionals can help you discover green lawns in a whole new way. Our company is associated with a high level of professionalism and quality. 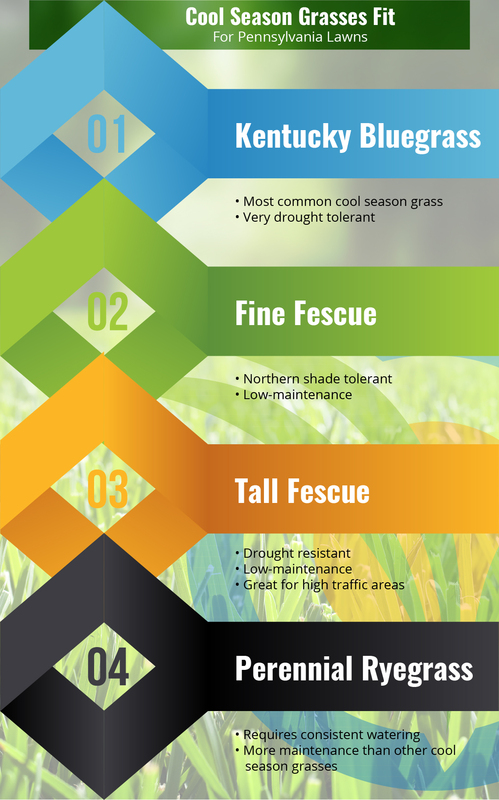 Not sure which type of cool season grass is best for your lawn? Give Green Turf a call or go to https://www.greenturfcare.com/contact-us/ and fill out the form. 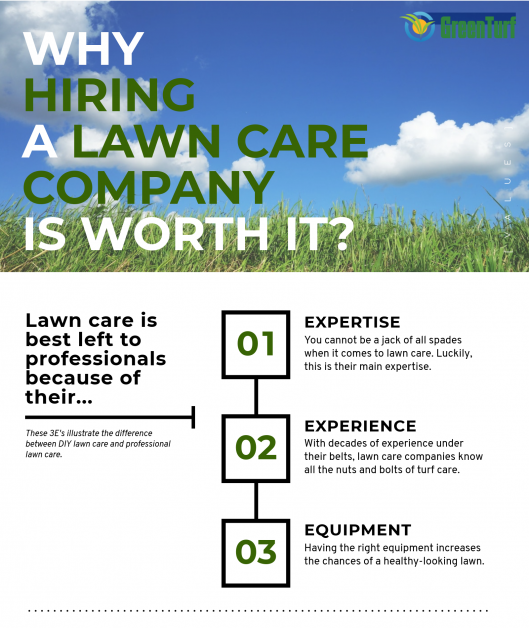 Schedule an appointment and get the best lawn care services! Our team strives to maintain a high level of communication and whether we are managing the grass of your home or office, we prove the dedication through the impeccable work we accomplish. Our company takes the necessary steps to make sure that each client gets the results they deserve. Personal care to each client is one of the highest priority of Green Turf Lawn Care. Customer satisfaction guaranteed: Driven by customer satisfaction, our company understands the importance of going above and beyond the customer’s expectations. Always available: Our team is here to answer any questions regarding our lawn care services. Quality services: We strive to provide top quality service with each of our projects and jobs.